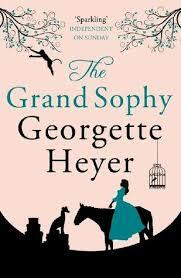 I’ve been on a Heyer binge the past two weeks, and I was surprised to find that I didn’t love all of the ones I read. I mentioned that to Krissie and she said, “Which ones?” and of course those turned out to be some of her faves because Krissie and I are Alpha and Omega (or as Krissie put it, she’s Pollyanna and I’m Medea). The only one we agreed on was The Grand Sophy, a book I loved so much I named my heroine in Welcome to Temptation after her. It still holds up after all these years, aside from a brief but nasty bit of anti-Semitism which the heroine does not commit (it’s the author’s narration, not Sophy’s thoughts, so I just skim past that part).